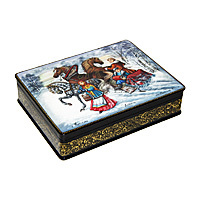 Here you will encounter gift ideas for any occasion. 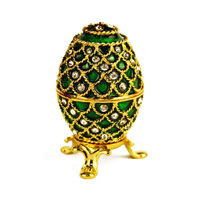 For Easter, consider crystal, Faberge style, porcelain, or wooden eggs. 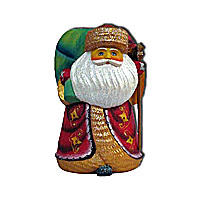 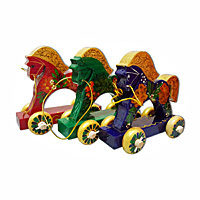 When getting ready for Christmas, see glass and wooden ornaments as well as carved Santa figurines. 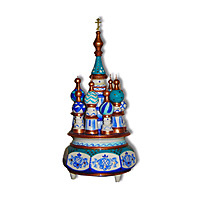 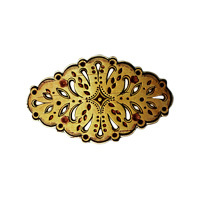 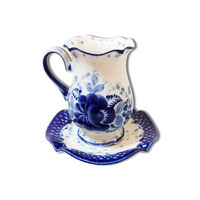 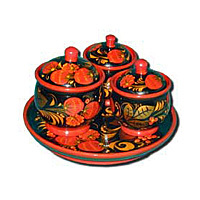 Items made using main Russian folk art techniques (including Gzhel and Khokhloma) are also compiled in this category. 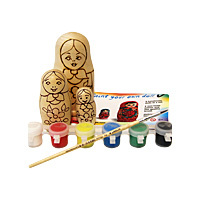 Hone your own hand painting skills using blank nesting dolls or do-it-yourself kits. 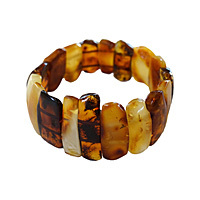 Original gifts can be affordable: check our range of amber jewelry, brooches, keychains, and magnets. 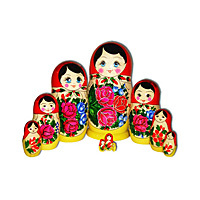 Most importantly, take your time to browse through all the sections. 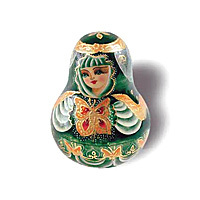 You are unlikely to leave empty-handed.